The photo for this was taken at Park Pheonix, Nice, France a couple of weeks ago. I've tried to portray the waxy leaves on this one. I uses a blending technique to represent those shiny leaves, with some glazing with undiluted paint on some areas. 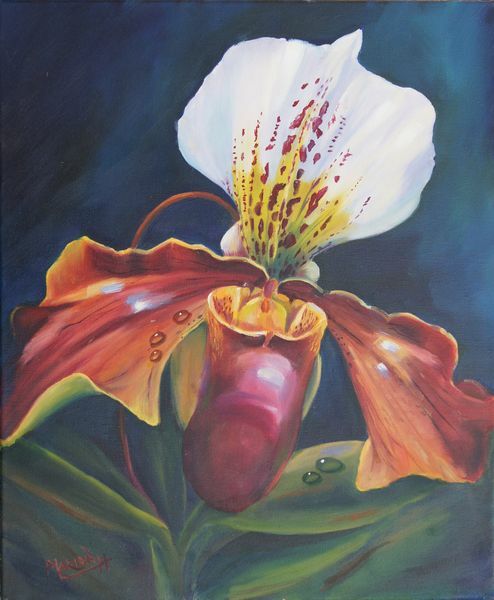 Stay tuned for more orchid paintings, as this is one of my favourite subjects.